The Board of Management has adopted as policy the Department of Education and Skills’ Guidelines on Child Protection.These can be accessed on the Department’s website here. In the event of a Critical Incident in the school, certain procedures will be followed. These will vary slightly depending on whether the incident happens during the week or at the week-end. The Board of Management of Ursuline College is committed to providing a safe positive learning environment for our students, where each person is respected and can work towards achieving her full potential. In the context of the school’s mission statement and its educational philosophy, Ursuline College is committed to the care and protection of all its students. The Vetting policy of Ursuline College forms part of the Board of Management’s recruitment practice. Homework is an essential part of learning. This Substance Use policy applies to the entire school community of Ursuline College, Sligo – including teachers, students, parents/guardians and all users of, and visitors to the school campus. Ursuline College is committed to incorporating educational visits into its curriculum, providing that they will enhance student’s relevant understanding and experience and are seen as a valuable addition to the regular school experience. Sport has a major role to play in school and society. Participation in school sport makes a major contribution to the students’ education and to their physical, social and emotional development. Educators/Coaches must make use of the opportunities that sport and sporting activities provide in order to help the students to grow and develop as persons. Within the context of the school’s Mission statement and stated ethos, school rules have been formulated in order to help students to develop their gifts and talents and to grow in self-discipline and responsibility. It is within the context of the school’s philosophy and mission statement that the Health and Safety Policy has been formulated. It is the school’s policy to do all that is reasonably practicable to prevent injury to people, damage to property and to protect everyone (i.e staff, pupils, public, contractors and visitors) from foreseeable hazards. The aim of the AUP is to ensure that pupils will benefit from learning opportunities offered by the school’s Internet resources in a safe and effective manner. Internet use and access is considered a school resource and privilege. Therefore, if the school AUP is not adhered to this privilege will be withdrawn and appropriate sanctions – as outlined in the AUP – will be imposed. Procedures in relation to suspensions are drawn up within the context of the school’s ethos which derives from the Religious and Educational philosophy of Ursuline schools. Procedures in relation to expulsion are drawn up within the context of the school’s ethos which derives from the Religious and Educational philosophy of Ursuline schools. 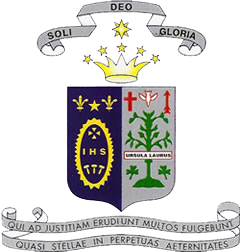 Within the context of the school’s philosophy and mission statements, the Board of Management of Ursuline College is committed to providing all employees with an environment that is free from any form of workplace bullying, where each one can be expected to be treated with dignity both by management and work colleagues. Any important or sensitive data stored on the laptop must be protected by a secure password and backed up appropriately. Within the context of the school’s Religious and Educational philosophy, the school seeks to be inclusive of students from a variety of background, culture and nationality. Ursuline College strives to nurture a community where Christian values are respected, lived and taught. The school’s philosophy is based on the Gospels and the writings of St Angela Merici. Within the context of the school’s mission statement and ethos, policies regarding Health and Safety have been formulated. An anti-smoking policy forms part of these policies. The aim of this policy is to ensure that pupils will benefit from learning opportunities offered by the school’s Internet resources in a safe and effective manner.